This example contains the basic workflow and detailed instructions for building and simulating a simple physical model. 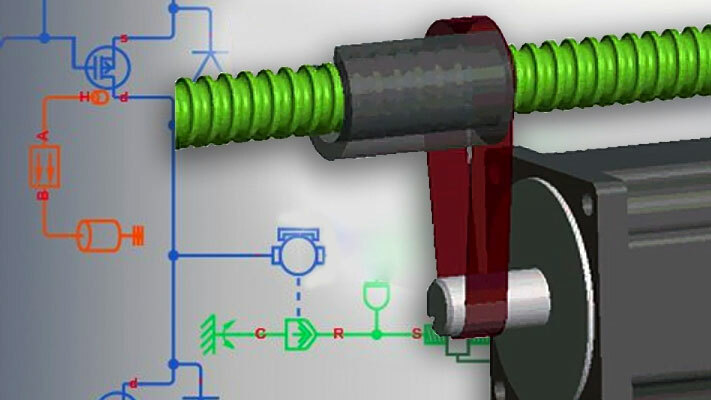 This example shows how to simulate systems that span electrical and mechanical domains. Describes concepts behind the Physical Network approach, Through and Across variables, and physical connections. Explains how Simscape physical networks are represented mathematically. Explains how Simscape software validates and simulates a model.